Fatal Norcross Strip Mall Shooting; Justice Available to Victim’s Family? Could this tragic shopping center shooting have been prevented are justice and compensation available to the victim’s family? Gunfire rang out in “a parking lot at the shopping center on Norcross Tucker Road near Jimmy Carter Boulevard” Wednesday evening, January 9, 2019, according to WSB-TV 2. Responding officers discovered a male victim with fatal injuries at the scene. Norcross police told The AJC, “investigators believe he was shot inside his car.” Authorities have not yet revealed the victim’s identity or a motive in the tragic shooting. Was negligent security a factor in this parking lot shooting? Read Our Legal Take below to find out if the victim’s family may have legal avenues for justice and claims for substantial compensation in Georgia. Shopping center patrons have a right to feel safe and secure while on the premises. The Murray Law Firm questions the level of security provided at the strip mall and whether this tragedy may have been prevented. 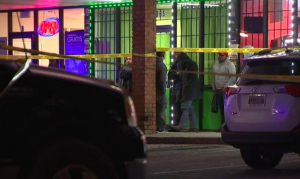 What security measures, such as bright lighting, monitored surveillance cameras, and visible security patrols, were in place to deter crime and protect the victim at the time of the shooting? By law, property owners in Georgia are required to protect all those legally on the premises from any foreseeable harm. Should the facts of this matter reveal that the shopping center owners failed to provide adequate security, the victim’s family may seek justice and elect to pursue legal claims for their loss.